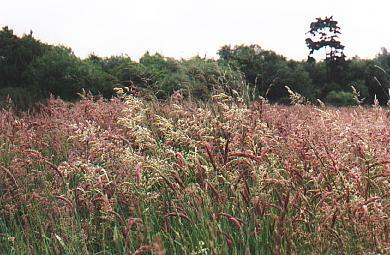 It is a mixture of reed beds, cultivated grass and culm grassland. 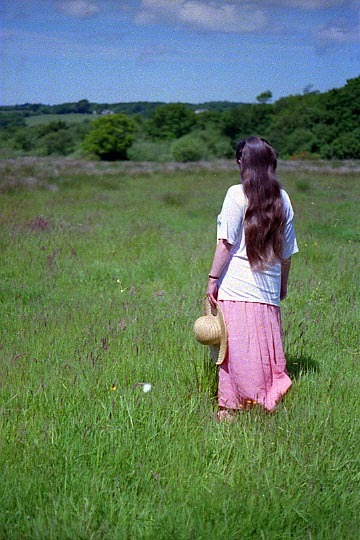 The field was last ploughed about forty years ago. 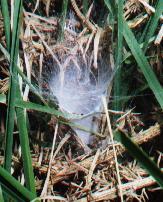 Keep a look out for the webs produced by the Funnel Spider. They are in other fields as well as this one. We've also found Broad bodied chasers (Libellula depressa) in this field. Here is the male. 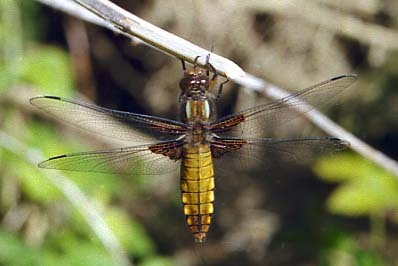 The broad bodied chaser can be found over the whole of Southern England up to The Wash and also in southern, mid and western Wales. It's not unusual to see lizards basking in the sun. The various flies are now on the wing. These orchids in field one are hybrids. 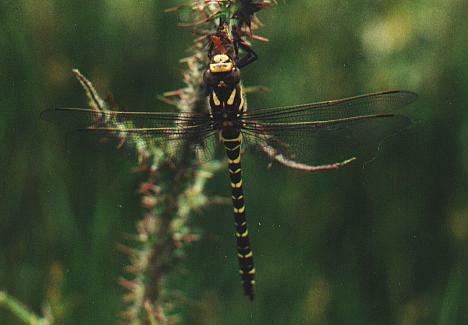 At first we thought they were Common Spotted, but now we think they are a hybrid between the Southern Marsh and the Heath Spotted.